I want to share with you a short story. It was a little over 14 years ago when I was at one of the darkest places in my life. I was strung out on drugs, homeless crashing at my aunt’s house, and in violation of my probation. My first daughter had just turned a year old. I sent her to live with father’s parents. I was so depressed and sick. I didn’t know what else to do. I believed that Jesus was real and that He would help me if I prayed and cried out to Him. So I did. Our Lord in His mercy and grace gave me favor once again with the judge. After three months in jail I was sentenced to a drug rehabilitation center as an alternative to prison. If I completed this six month program my probation would be reinstated and I could move on with my life. But I was still so full of rebellion. I ended breaking the rules and violating my stay. Back to jail I went to await sentencing. This would be the third time that I would violate and the judge promised me that if I messed up again that I would be sentenced to prison for sure. That’s exactly what happened. I was sentenced to five years in the Florida State Prison. Seems like a terrible story huh? Well it isn’t! What I didn’t share with you is that from the day that I got locked up I began drawing close to God and He drew close to me too. I got a bible and I would read and ask God to help me understand His Word. I did not know that what I was asking would result in the process of renewing my mind. I began to pray and seek Him like never before. He put a beautiful woman of God in my life, Sonia, who was not only strong in her faith but strong in personality too. He knew I needed someone like her to mentor me and speak into my life words of faith, truth, hope, and power. We meet at the rehab center where she had volunteered for an outreach event. She promised that she would write me. I did not believe her but she wrote me letters weekly from then on. She became my spiritual mother. It was through her that I first really experienced the love of Christ. She is still by my side today. By the grace of God my five year sentenced ended up being eighteen months instead. Those eighteen months the Holy Spirit taught me the Word of God and filled me to overflowing with His Spirit. One day I received a card from my Sonia with my name and the meaning of it. Lisa comes from Elizabeth, which means consecrated to God. Consecrated means set aside, or to declare or set apart as sacred. All of a sudden I realized that the Lord allowed me to be sent to prison not only to save me from my destructive path but so that I could be set apart for Him and His purpose. Without the rest of the world and drama in my ear I could finally hear from God. My life has not been the same since. Everything that I lost and that the enemy took from me God has been restored to me in abundance. The years of pain, loneliness, and sadness have been replaced with joy, peace, and hope. Today I am surrounded by people who love me. I have undeservedly been rewarded with the blessing of several children. Our God has been faithful to build me up in Christ Jesus. I am no longer a victim of life’s circumstances. I am an over comer in Christ Jesus! I don’t know what your situation is but as I’ve shared I had created such a mess of my life that even though He saved me the moment I believed and cried out to Him, He still needed to do some major reconstruction to my entire life from the inside out. In my rebelliousness I planted some bad seeds and I still needed to reap what I had sown and face the consequences of my actions. I could have gotten angry at God but it wasn’t His fault that I ended up in prison. It was mine. It was my own foolishness and rebelliousness that got me there. It was our Lord in His mercy and grace by the power of His Holy Spirit that gave me the strength, courage, and perseverance to endure through it all without becoming angry and bitter. Proverbs 19:3 says, “People ruin their lives by their own foolishness and then are angry at the LORD.” There are people who get made at God when they are overwhelmed with debt but they mismanage their money and are tightfisted, scared to give their tithes and offerings. Others get mad at Him because they don’t see a breakthrough in their families but instead of speaking words of faith in their home they are speaking words of unbelief, doubt, and defeat. They are tearing apart their own homes by the words of their mouth. There comes a time where we have to accept responsibility for our disobedience, repent, and ask God to help us back onto the narrow road. We have to learn to desire God’s will more than our own. 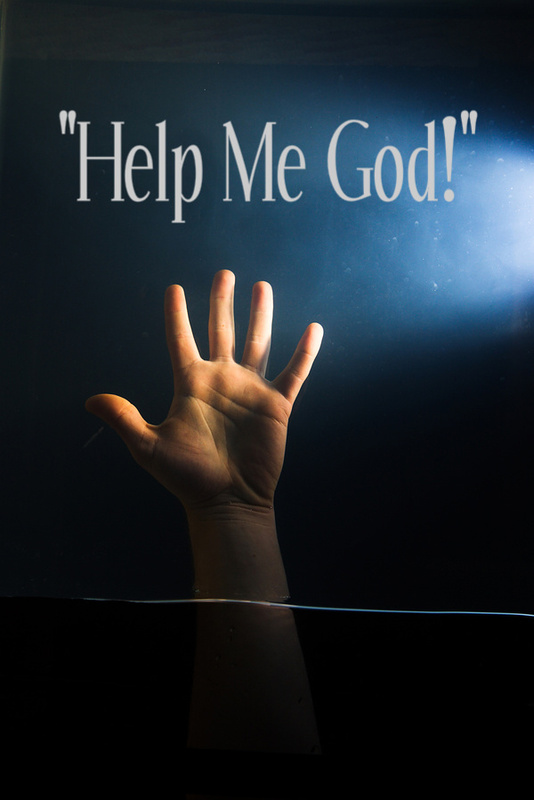 You cried out, “God Help Me!” now it’s time that you let Him help you HIS WAY, NOT YOUR WAY! Obey and trust Him you will not be sorry. Previous post ← "Please God Help Me!" Thank you for sharing. I have a very similar history myself and although it has been so many years ago I never forget that time in my life. Hi ,i`m Kelly, i have 22 yrs old from York , England .We try to share this link from –Debby Alten — blog to share the story of espeacial lady with one amazing story !We try to make something to help alittle this childrens , just search and look !http://www.gtargirls.blogspot.com/Our hearts are for the families from Haiti ,too ! Let`s keep prayers for all the overhelming situation of there .Often when we face obstacles in our day-to-day life, our hurdles seem very small in comparison to what many others have to face. The Brooklyn Bridge shows us that dreams that seem impossible can be realised with determination and persistence, no matter what the odds are.The pursuit of happiness is a matter of choice…it is a positive attitude we consciously choose to express. It is not a gift that gets delivered to our doorstep each morning, nor does it come through the window. And I am certain that our circumstances are just a small part of what makes us joyful. If we wait for them to get just right, we will never find lasting joy.The LORD is with us !-:) Hugs !! !